After successfully completing her law studies at Eberhard-Karls University in Tübingen, Ms Küllmer completed her practical legal training in Karlsruhe and obtained her federal-wide licence to practise as a lawyer in 2005. After a one-year course of study of European and French law in Aix-en-Provence in the south of France and a placement lasting several months in the legal department of the Chambre de Commerce et d' Industrie (ICC) in Strasbourg, Ms Küllmer developed a particular affinity to French law and culture. 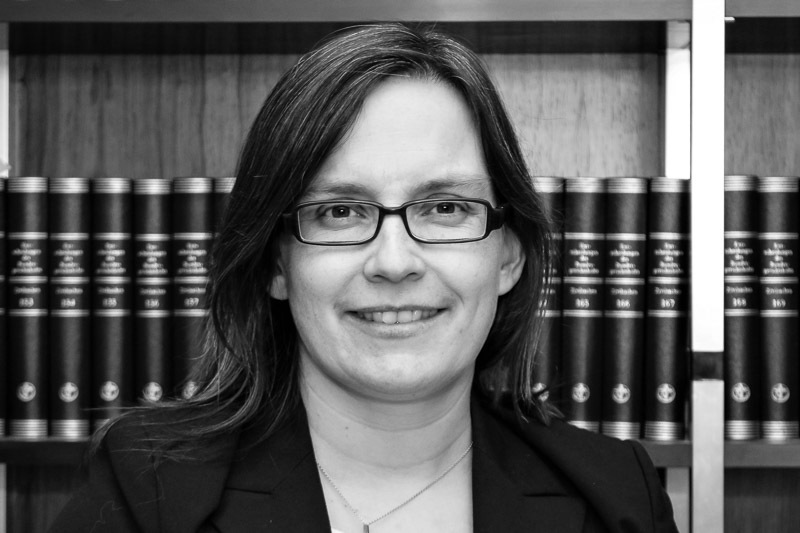 Owing to her special theoretical knowledge and proven practical experience, Ms Küllmer was awarded the title of "Fachanwältin für Handels- und Gesellschaftsrecht", a title given to lawyers specialising in the field of trade law and company law, in April 2012. Specialist Areas Ms Küllmer advises on all legal matters arising in everyday business life. She has extensive experience in drafting contracts tailored to the individual needs of trading and distribution partners and in the preparation of general terms and conditions for business, delivery or purchasing. She advises on all types of contractual disruptions (e.g. refusal to pay, warranties) and conducts settlement negotiations. In the event that the dispute persists, she continues action in court as authorised representative and arranges for judicial enforcement measures throughout the whole of the EU. Ms Küllmer is particularly qualified to deal with legal business relations with French-speaking countries in Europe (establishment and structuring of marketing relations, the issue, review and update of contracts and general terms and conditions for business, warranties, collection of receivables, enforcement measures) and she corresponds in French with the contractual parties and their lawyers. True to the company-law tradition of the law firm, Ms Küllmer advises clients in all matters relating to the formation of new companies or company restructuring as well as on disputes of a company-law nature and on the indemnification of departing members or shareholders. Ms Küllmer is particularly qualified to deal with legal business relations with French-speaking countries in Europe (establishment and structuring of marketing relations, the issue, review and update of contracts and general terms and conditions for business, warranties, collection of receivables, enforcement measures) and she corresponds in French with the contractual parties and their lawyers. Companies whose cases involve French law or from French-speaking countries turn to Ms Küllmer for advice and assistance with their businesses in Germany, particularly on investment projects. Ms Küllmer advises clients and conducts correspondence in German and French.